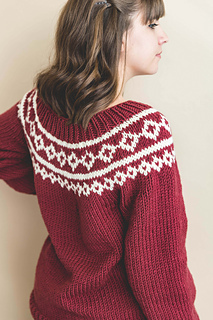 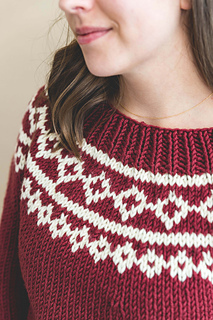 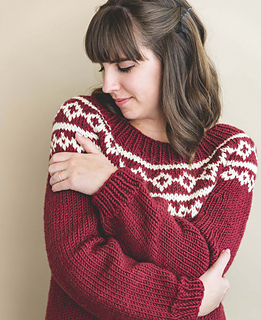 This adult sized knit sweater is the perfect thing to wear for holiday parties and all the festive winter time activities! 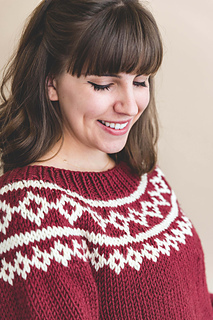 You knit it bottom up in the round with easy stockinette stitches and simple colorwork. 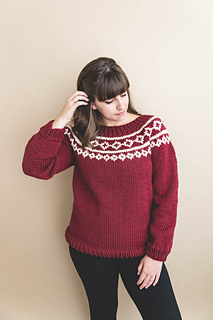 Pattern includes sizes S-3XL womens.